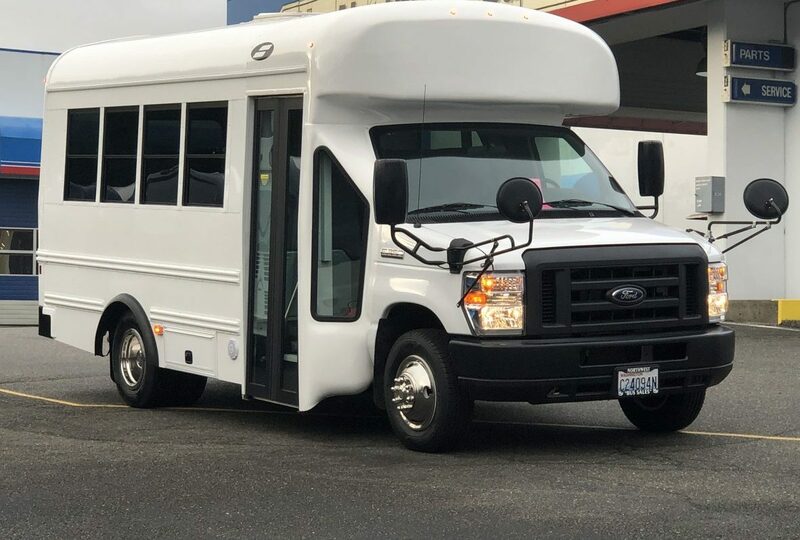 If you are a part of a church, school, work or sports group that does a lot of traveling around on a regular basis, then you probably know just how uncomfortable it can be to ride in a cramped vehicle that doesn’t provide you with enough space. 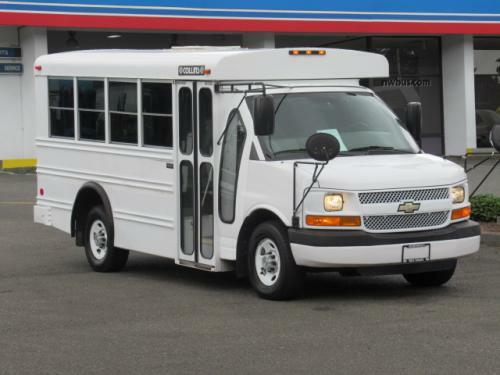 Sometimes it can even be enough to make you second-guess whether or not you actually want to be a part of that group. 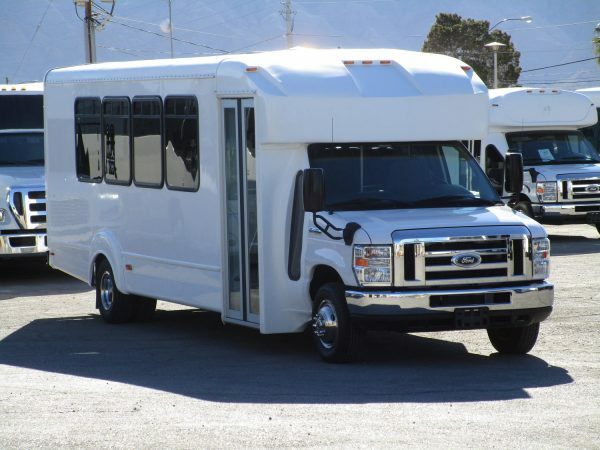 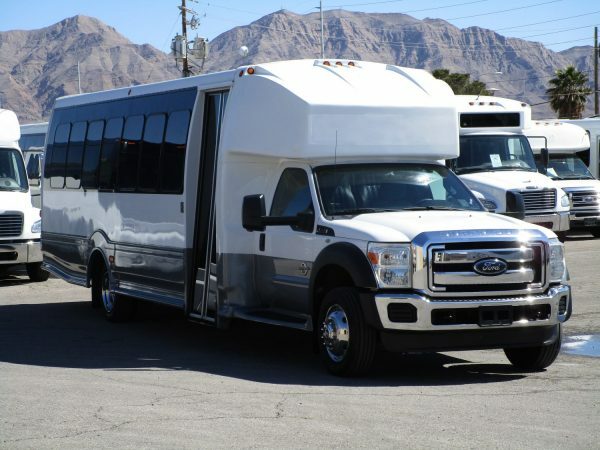 Las Vegas Bus Sales can solve that problem for you by providing your group with a shuttle bus that will fit everyone in your group comfortably. 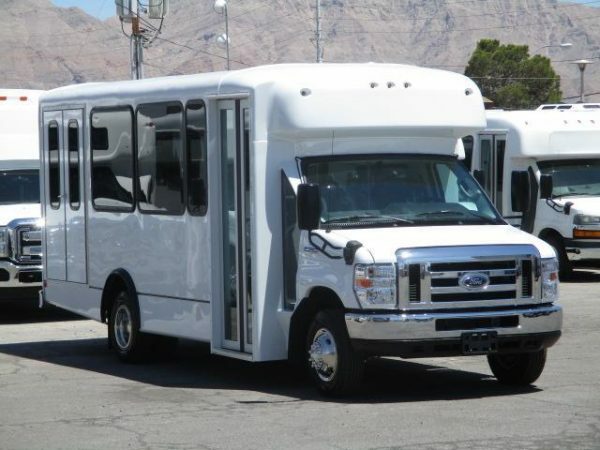 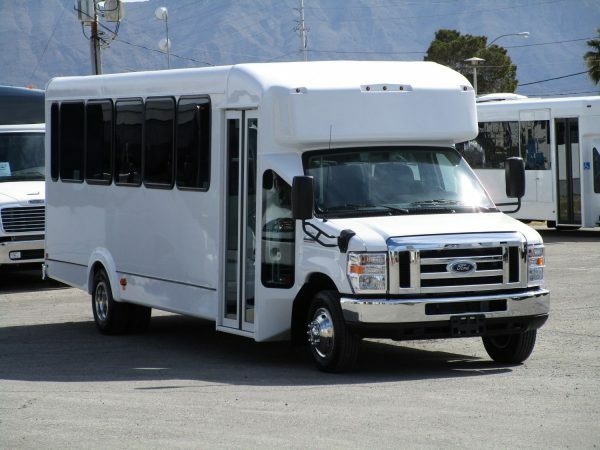 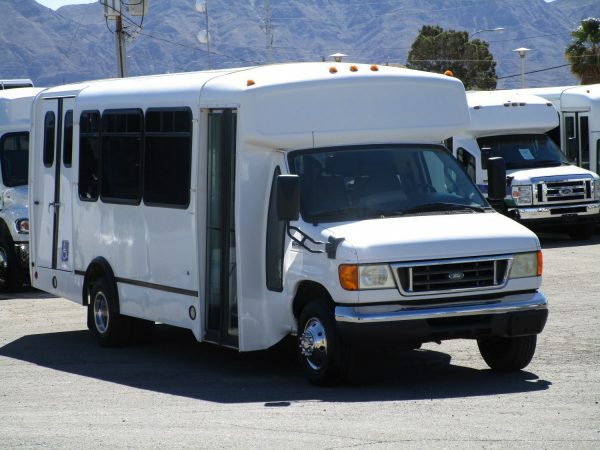 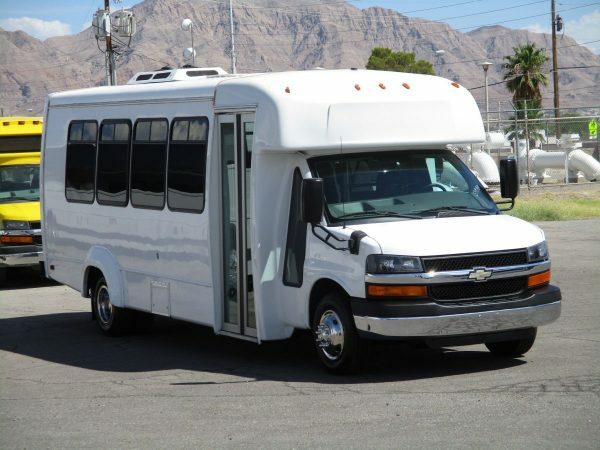 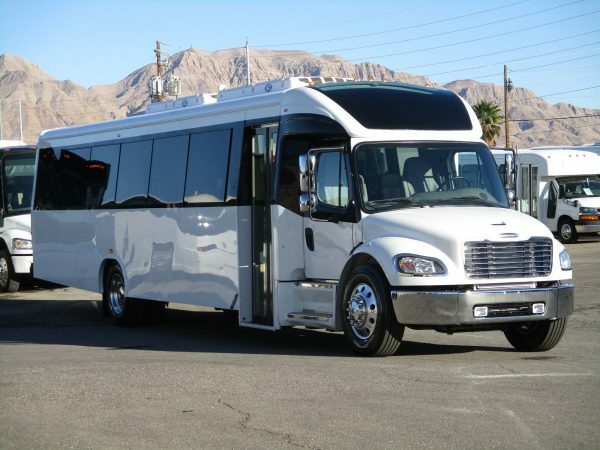 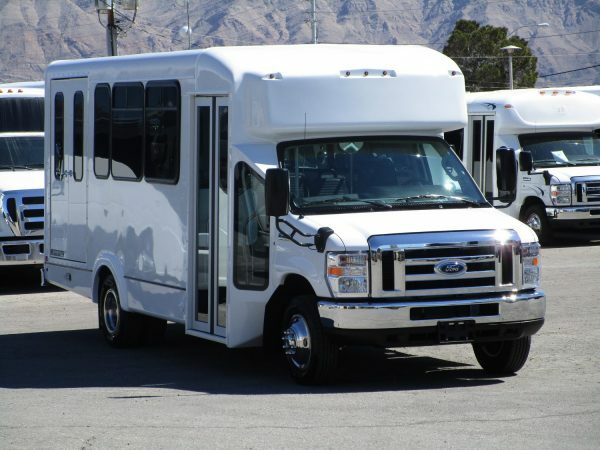 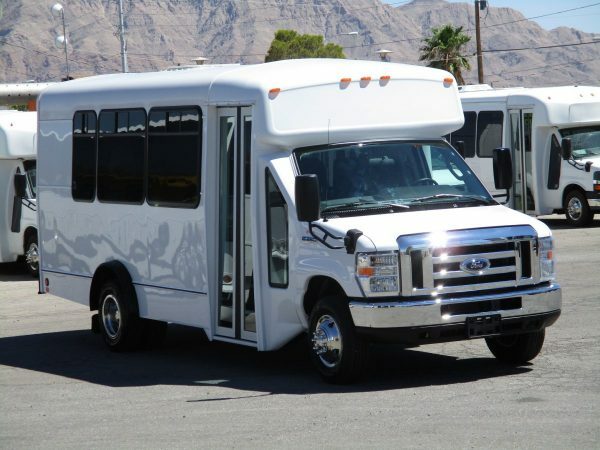 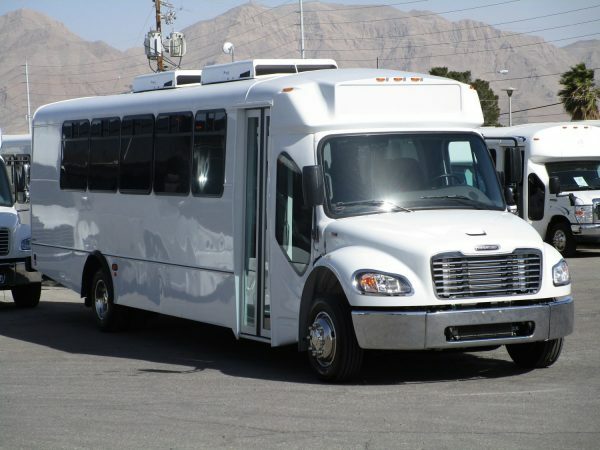 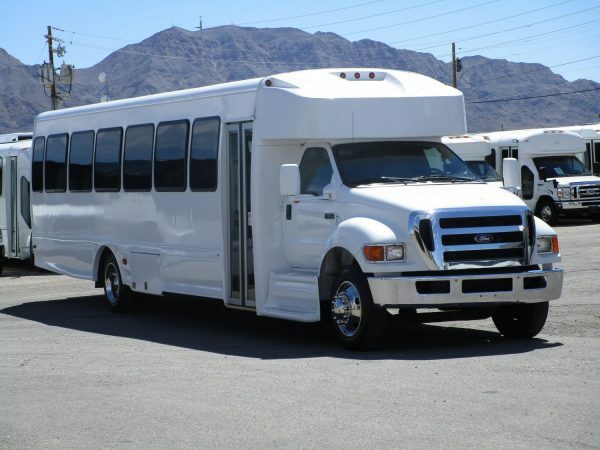 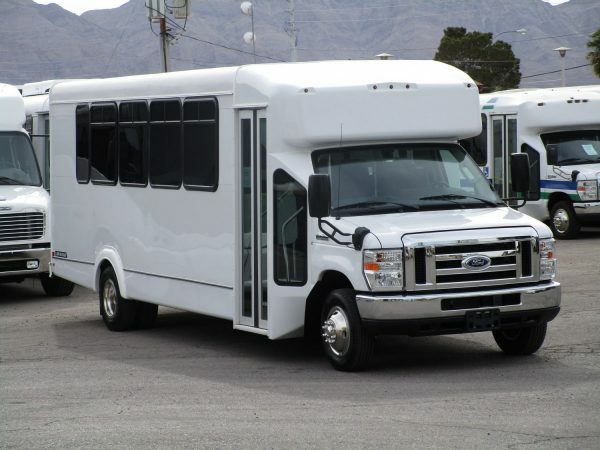 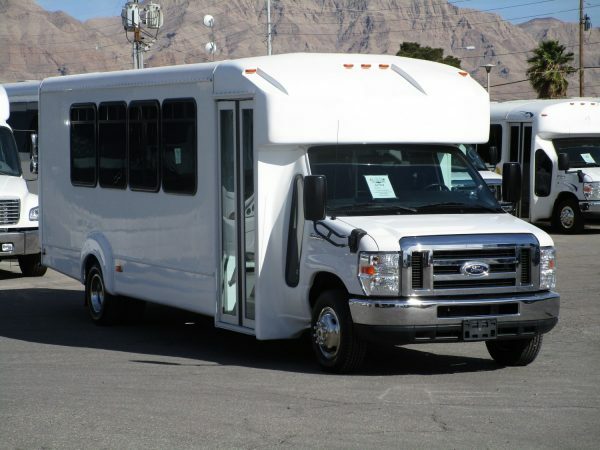 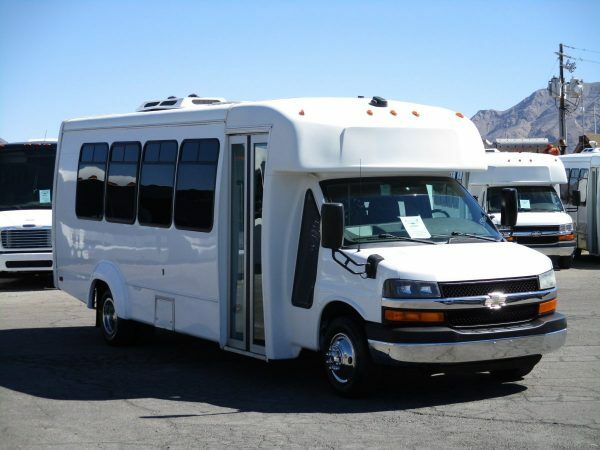 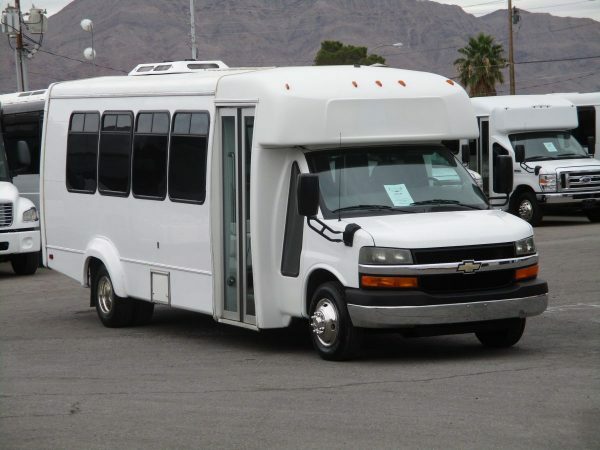 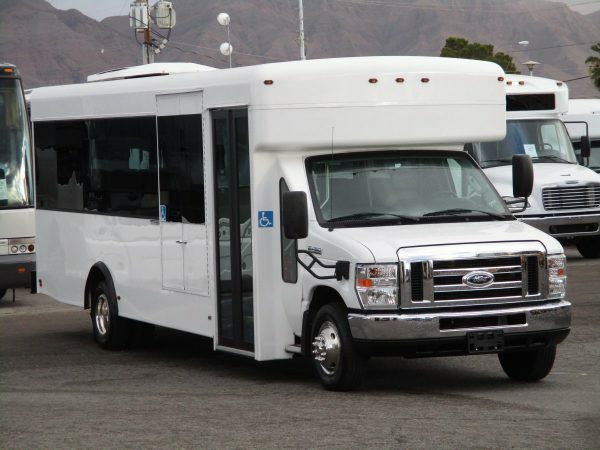 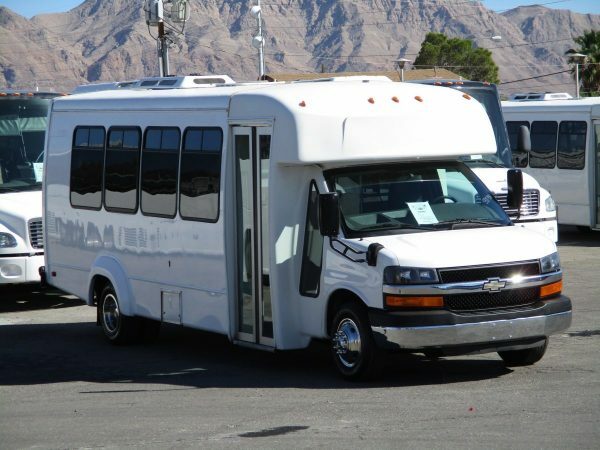 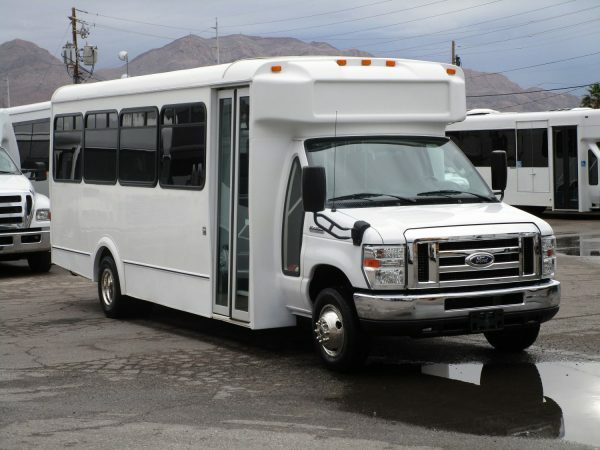 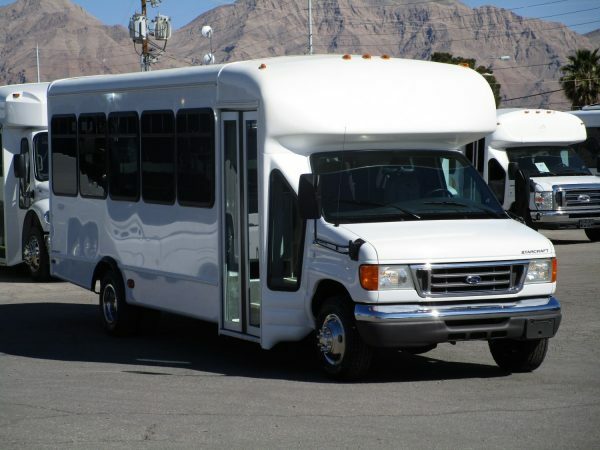 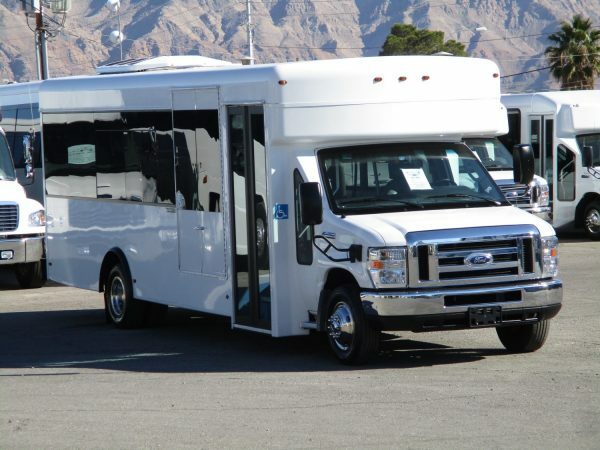 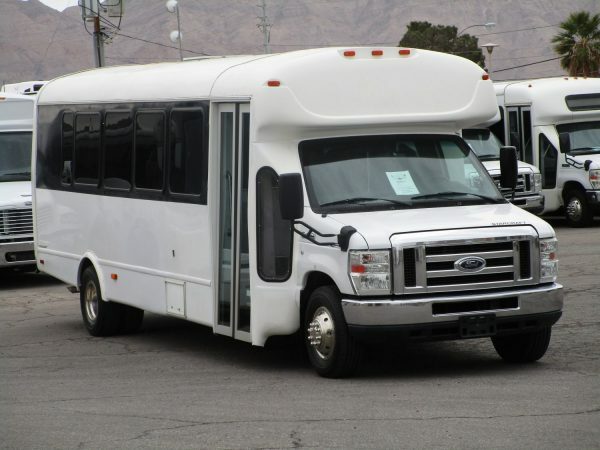 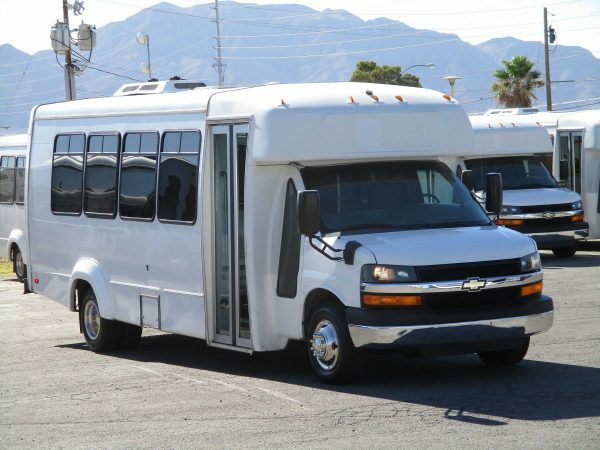 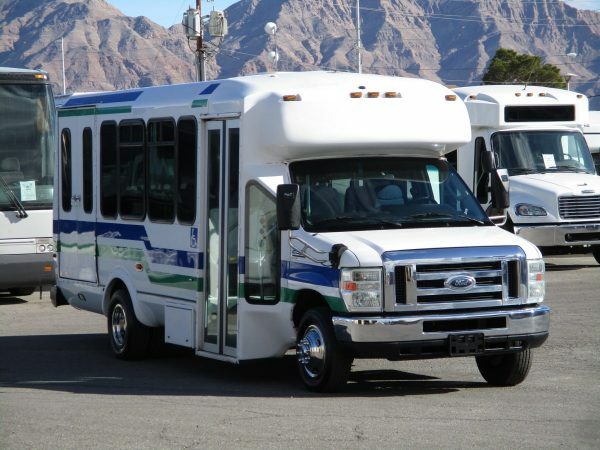 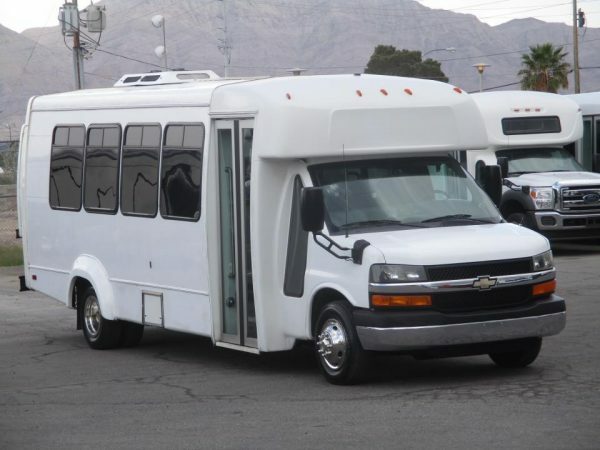 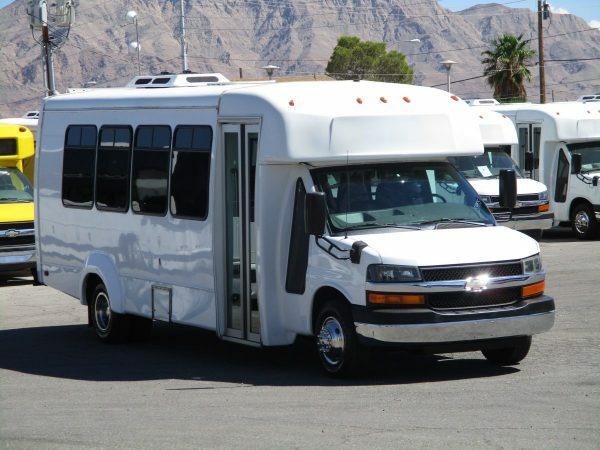 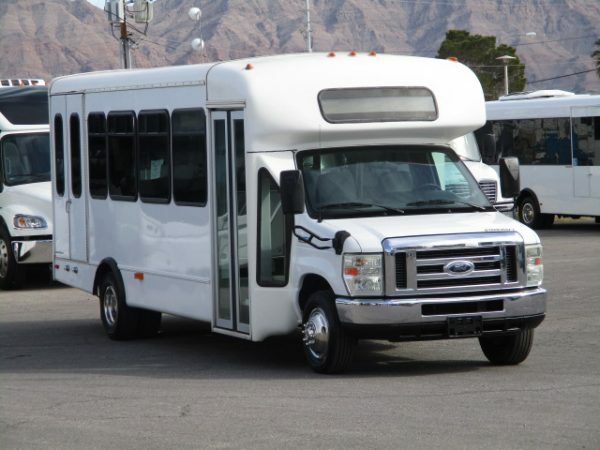 The shuttles buses that are available through Las Vegas Bus Sales come in many different shapes and sizes. 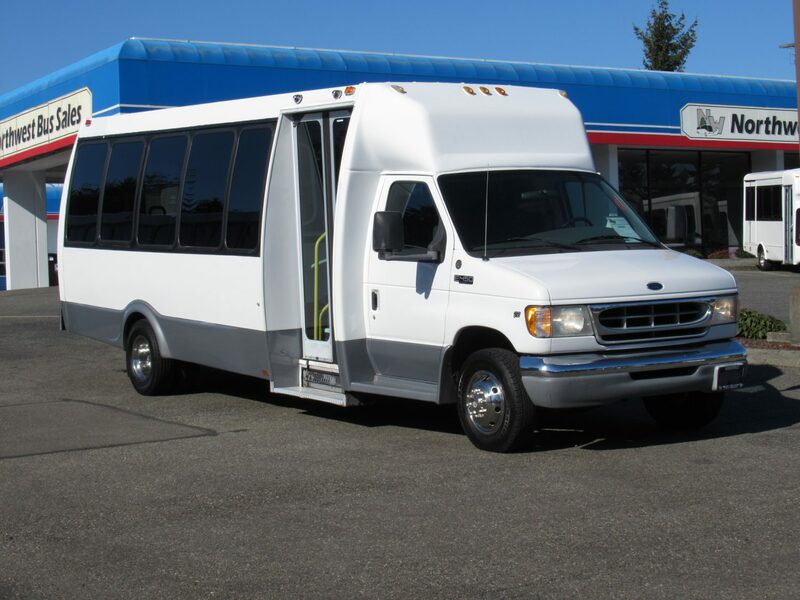 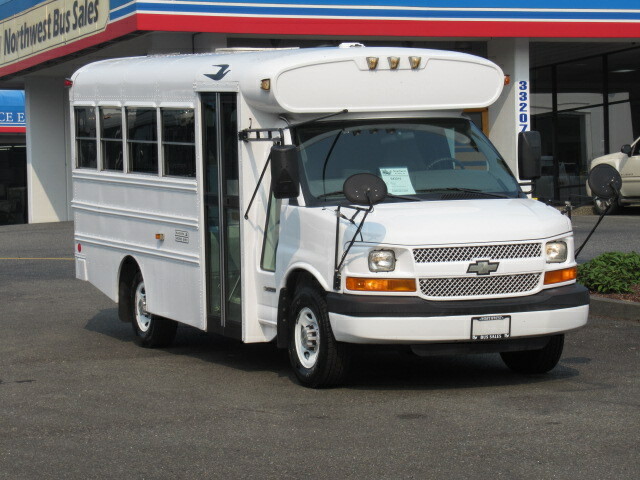 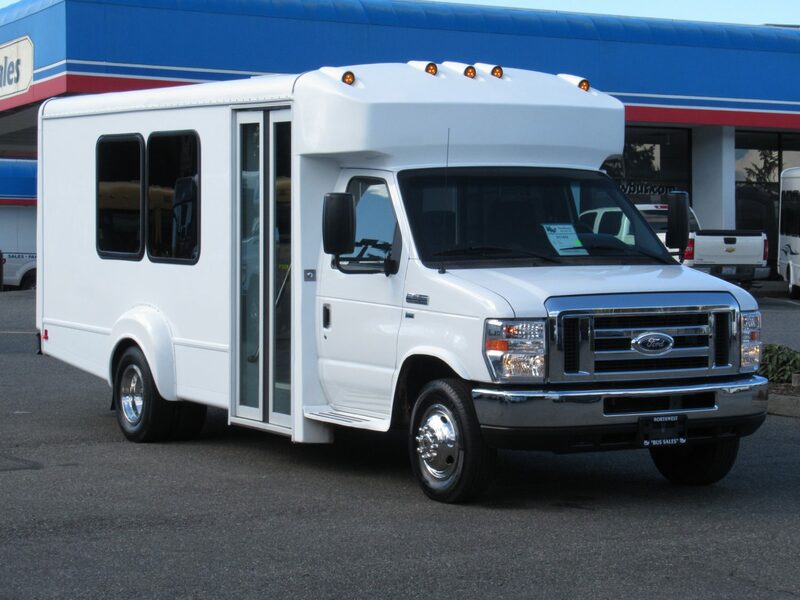 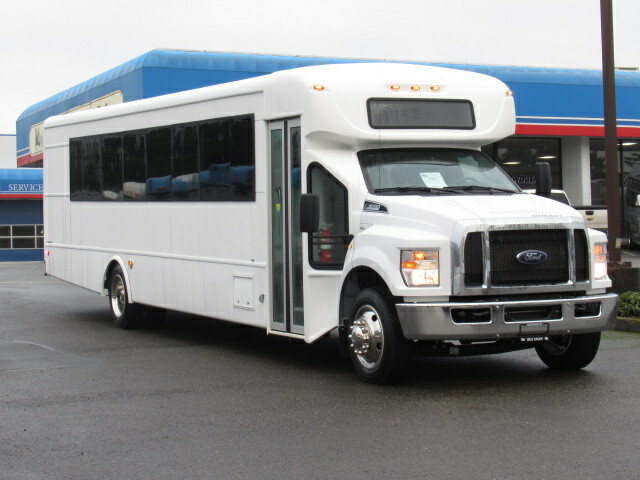 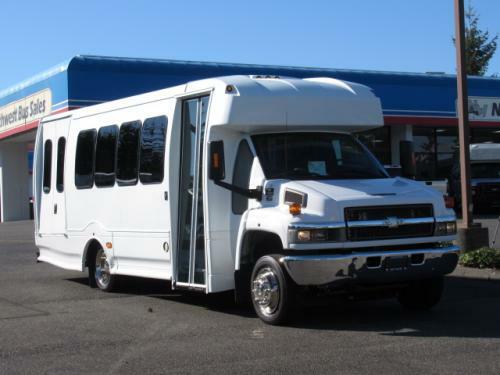 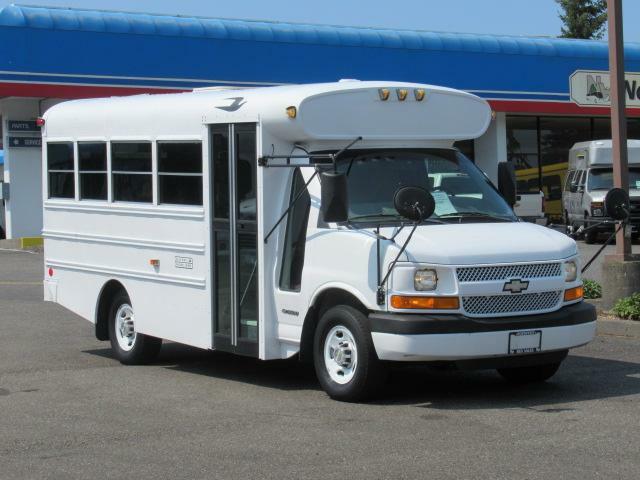 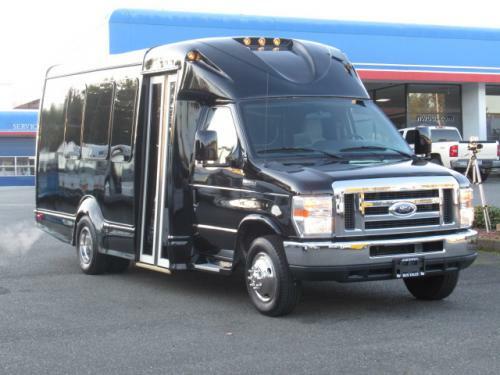 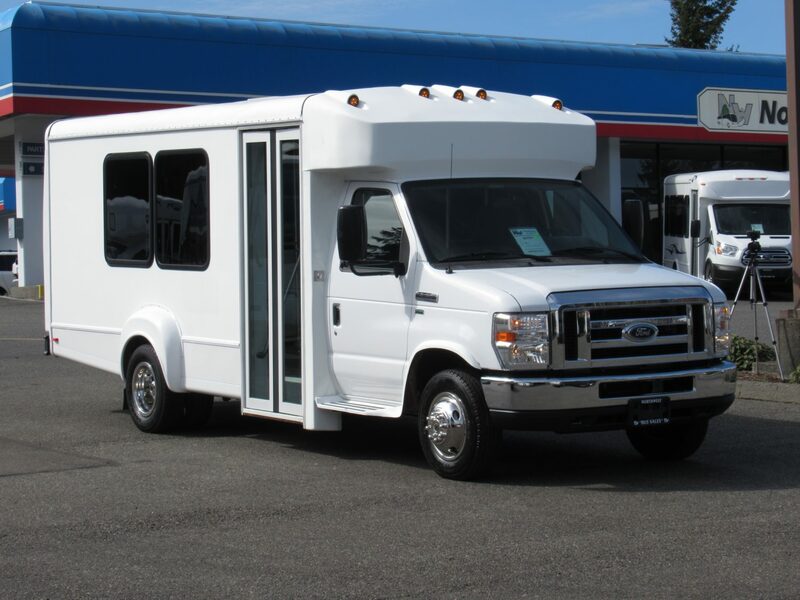 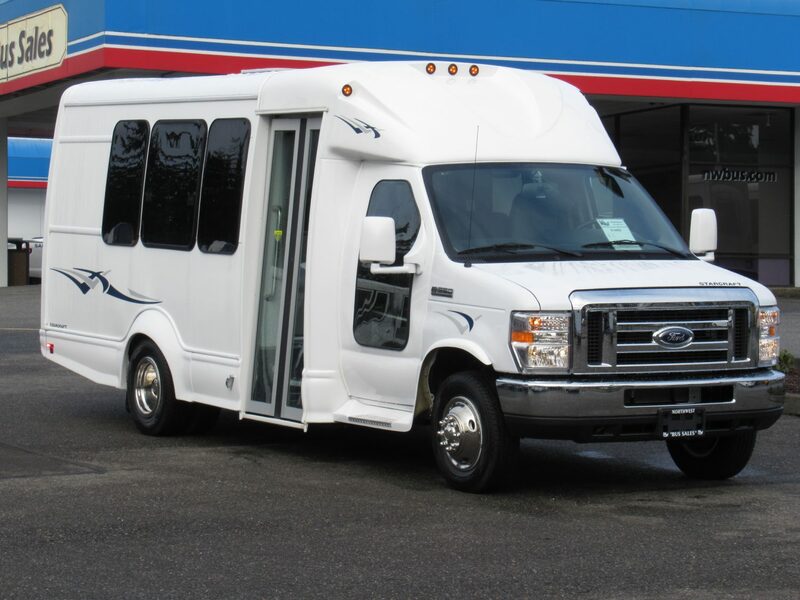 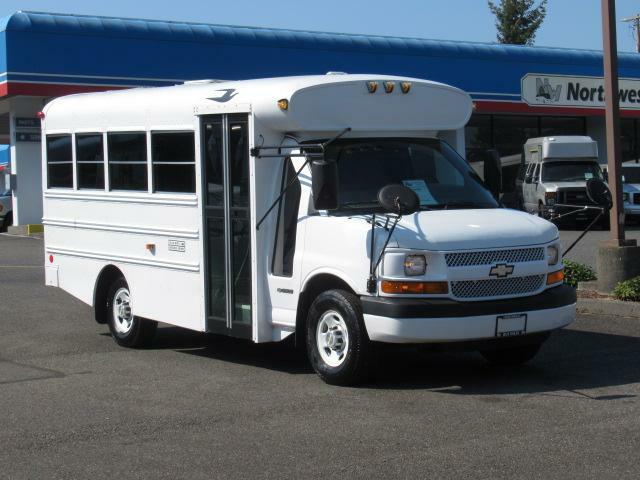 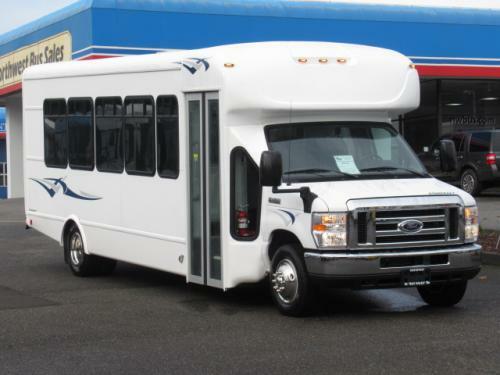 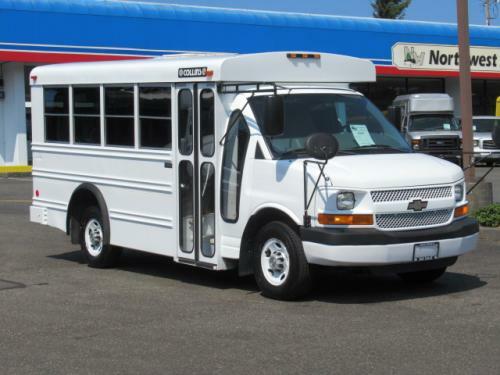 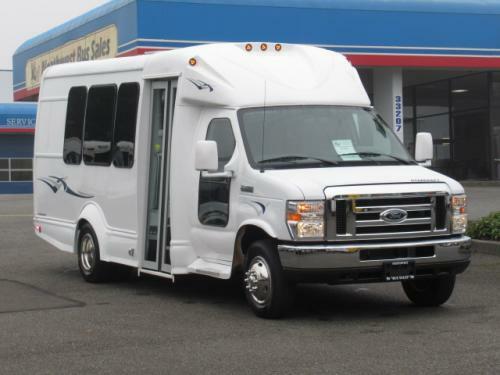 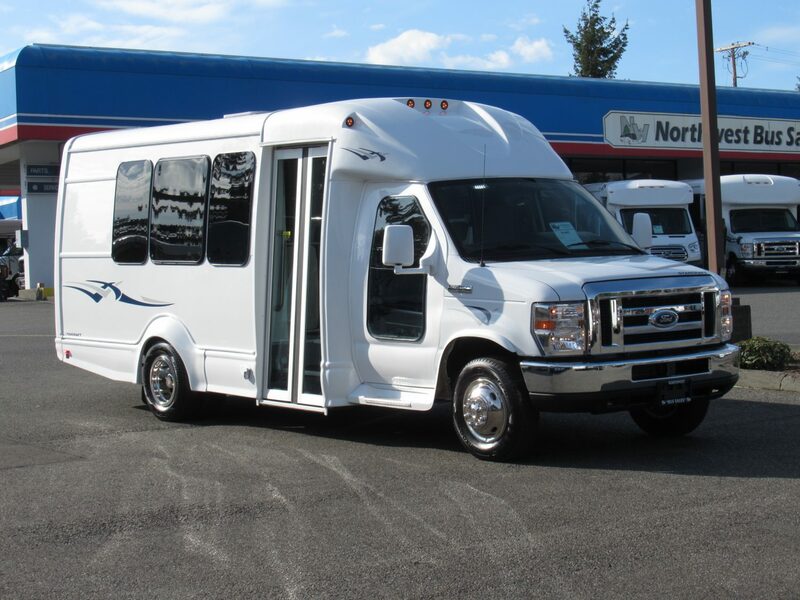 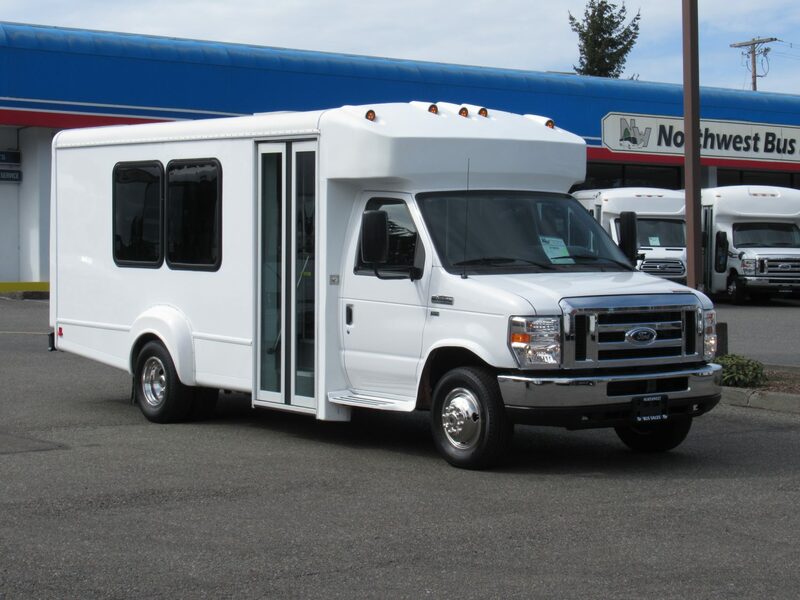 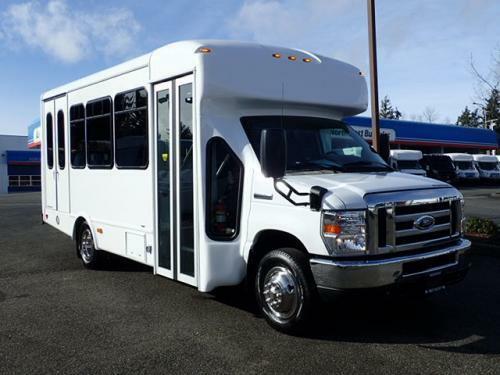 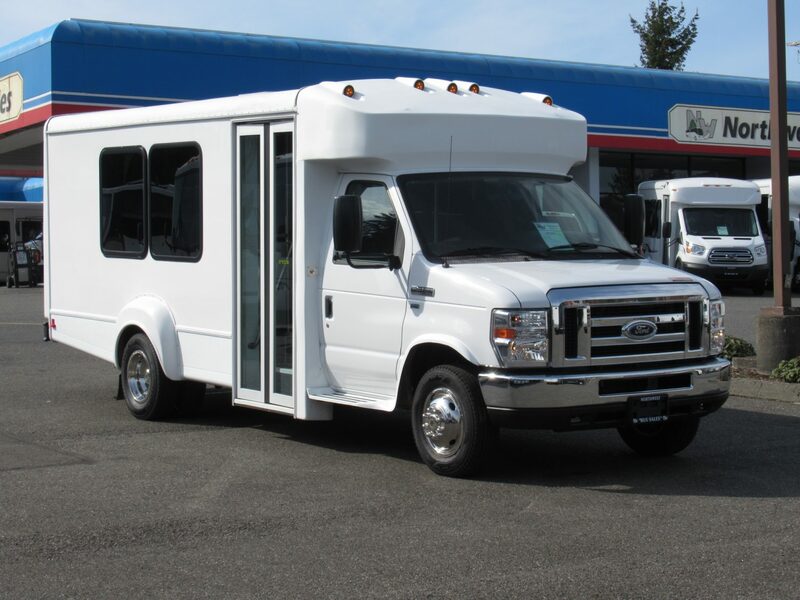 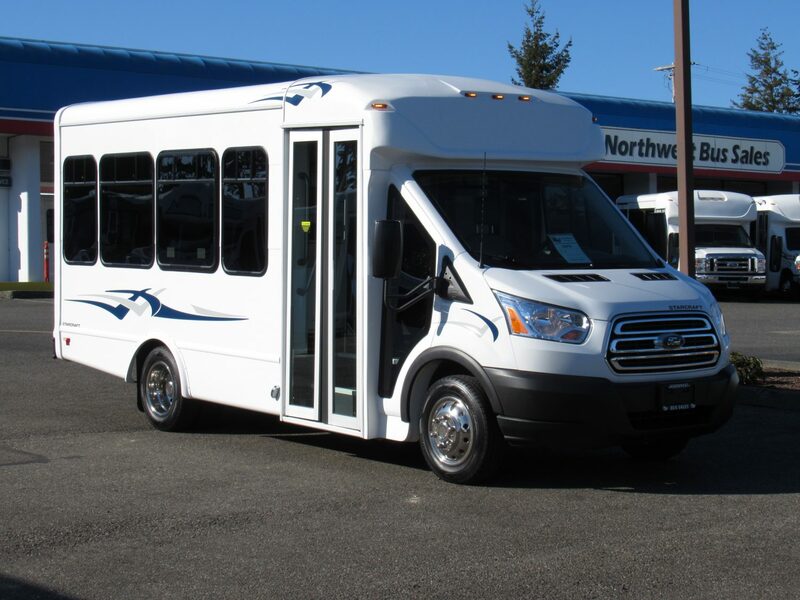 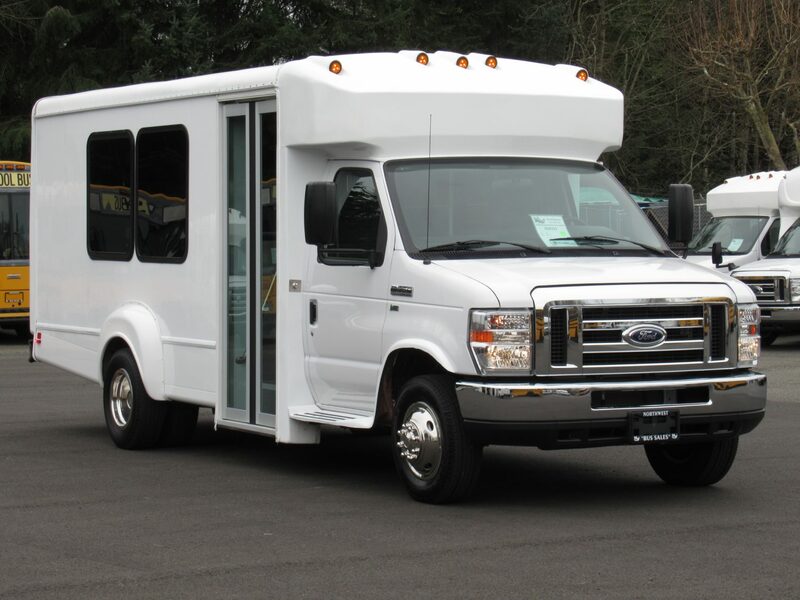 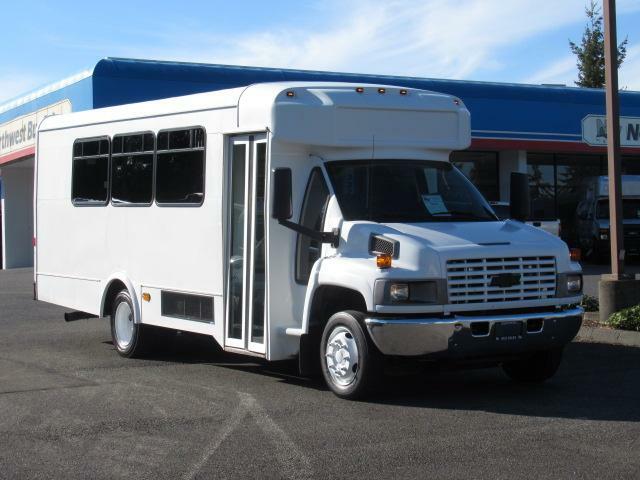 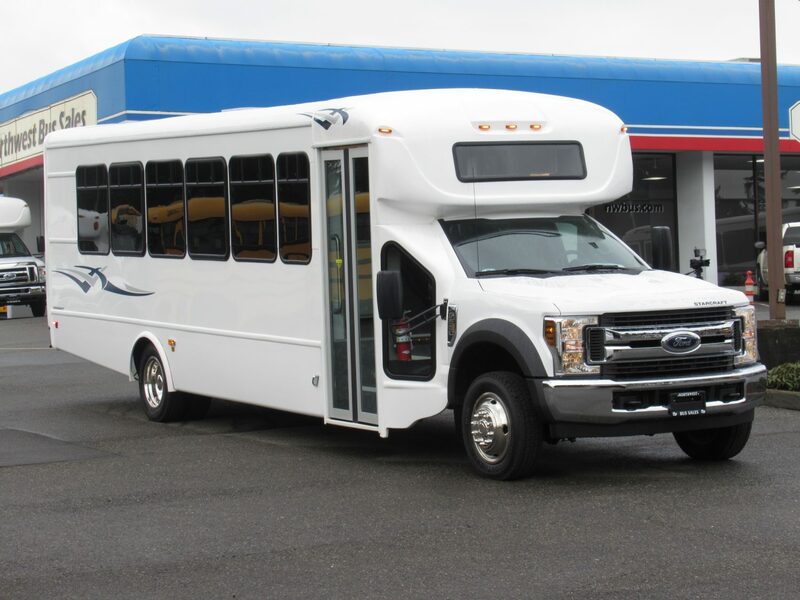 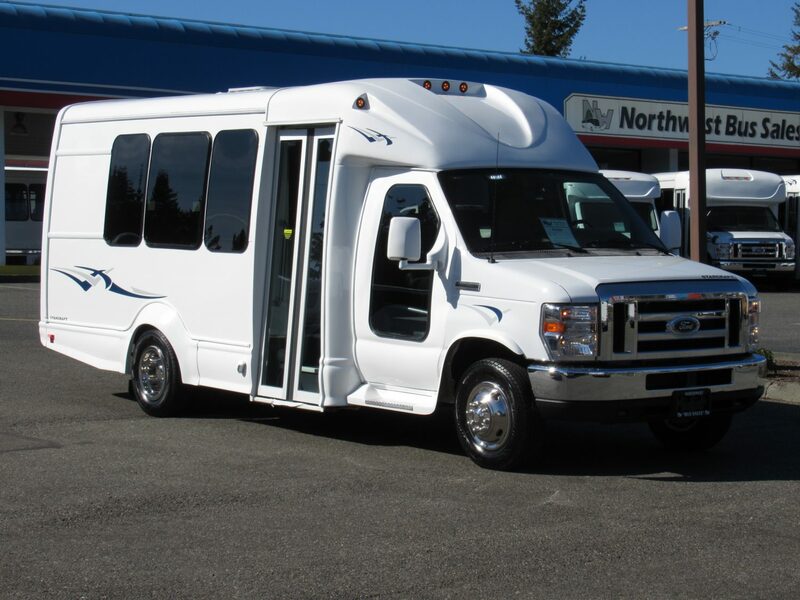 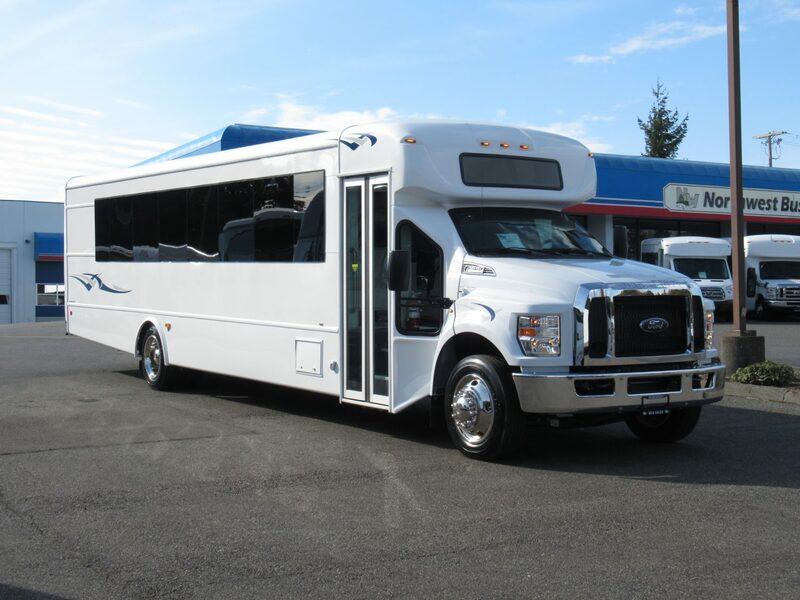 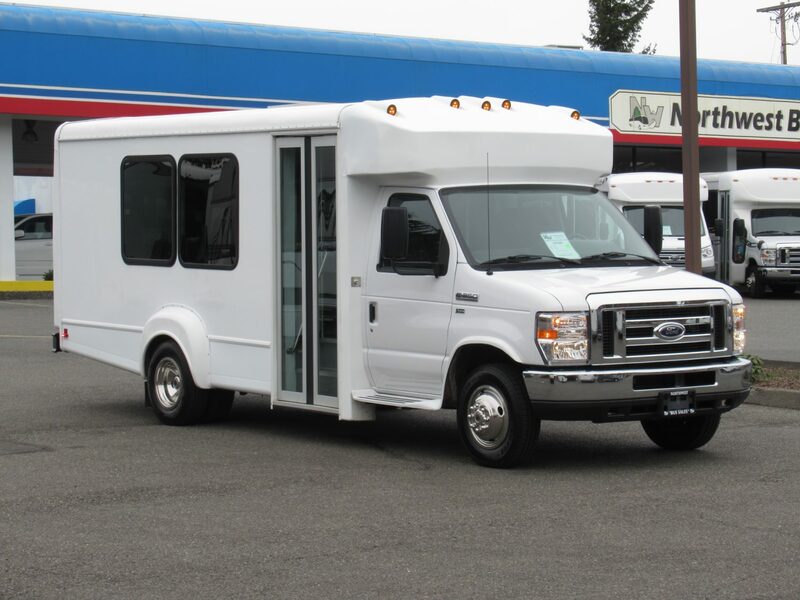 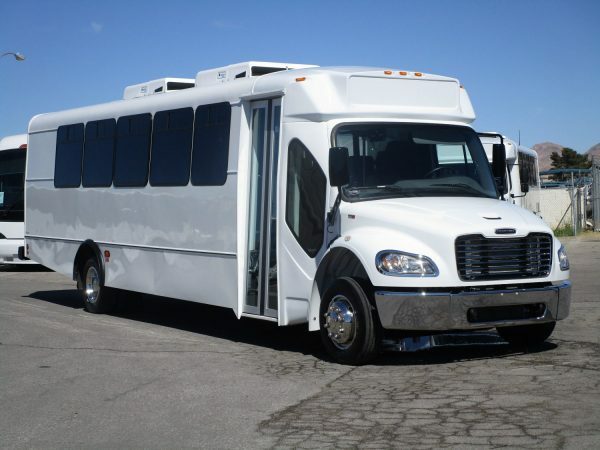 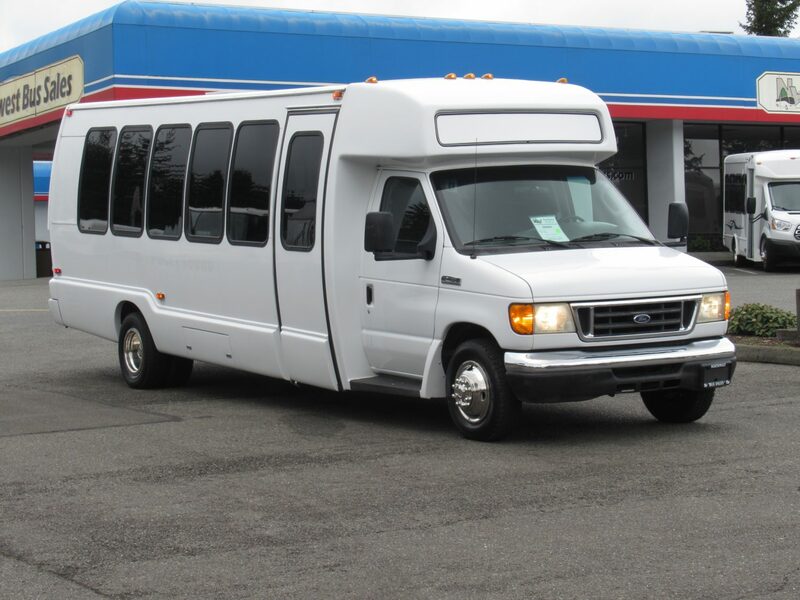 We have passenger buses for sale from companies like Champion, Supreme, Starcraft and more. 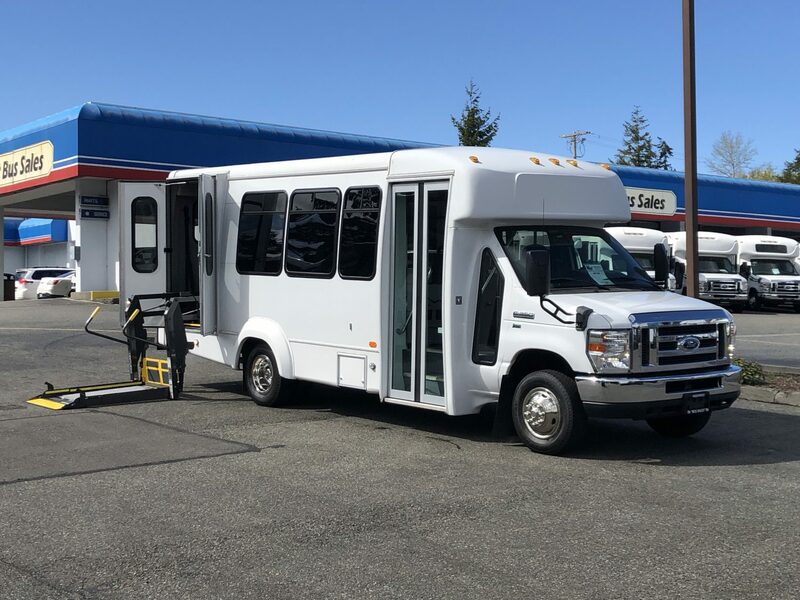 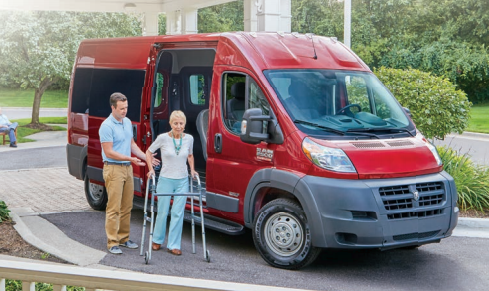 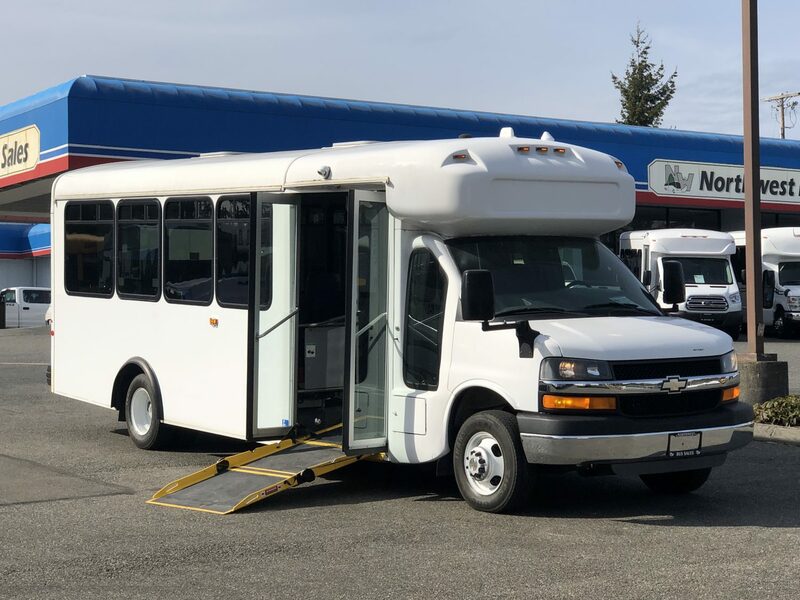 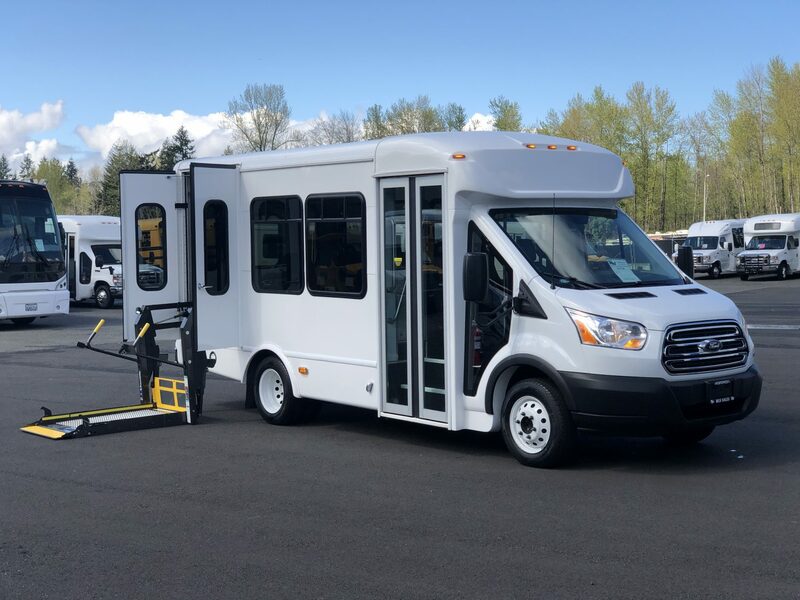 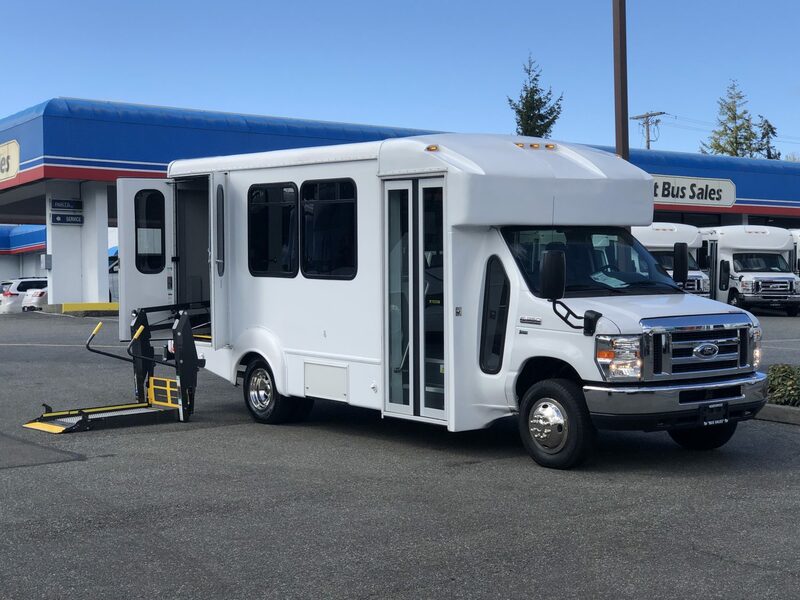 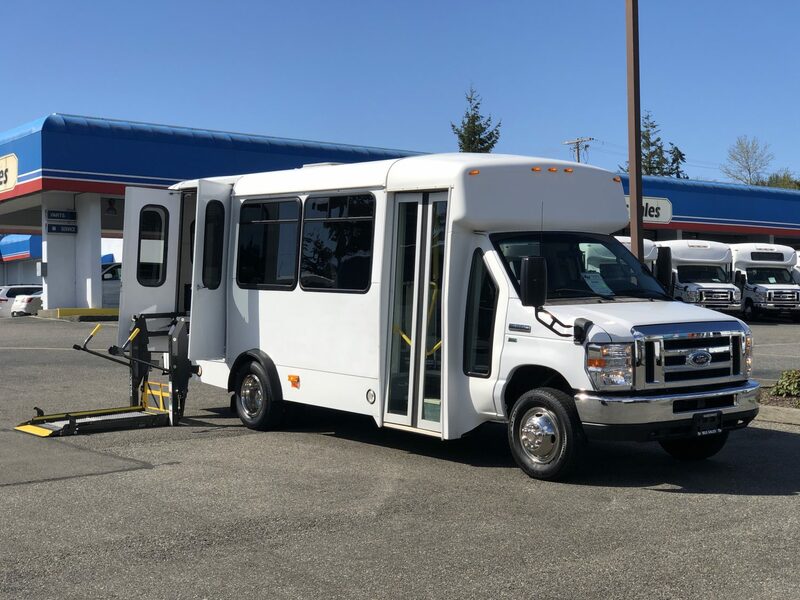 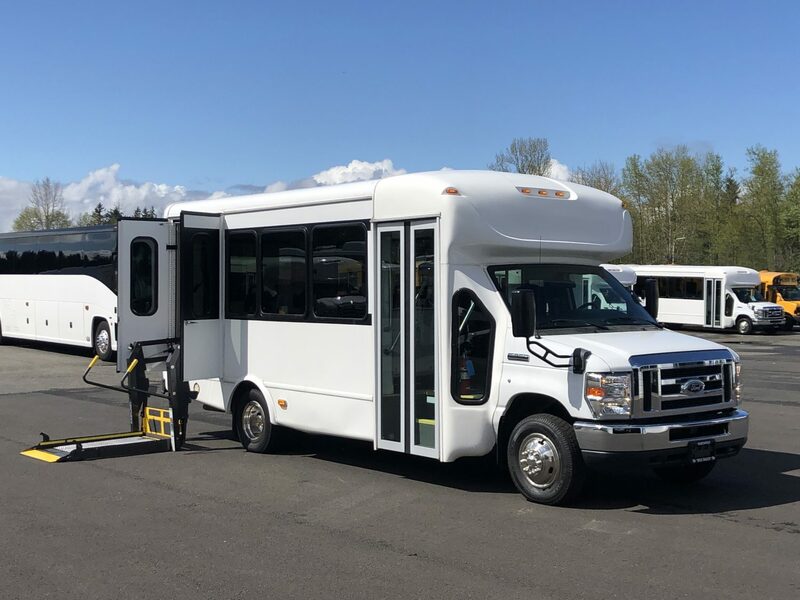 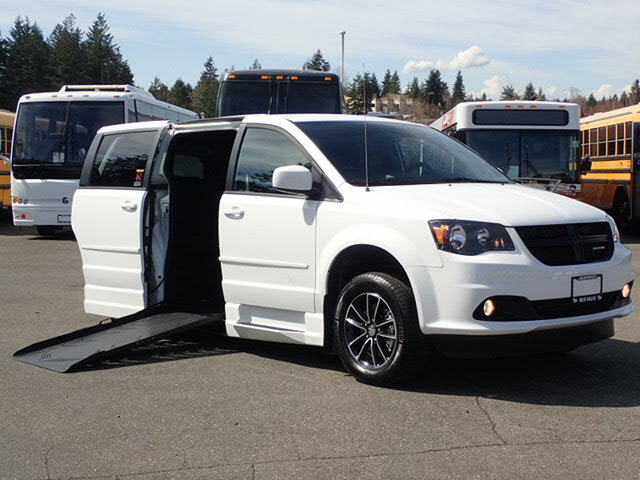 These vehicles can hold anywhere from 10 people up to almost 40 people, and they will do so while keeping your shuttle bus passengers as comfortable as they can be. 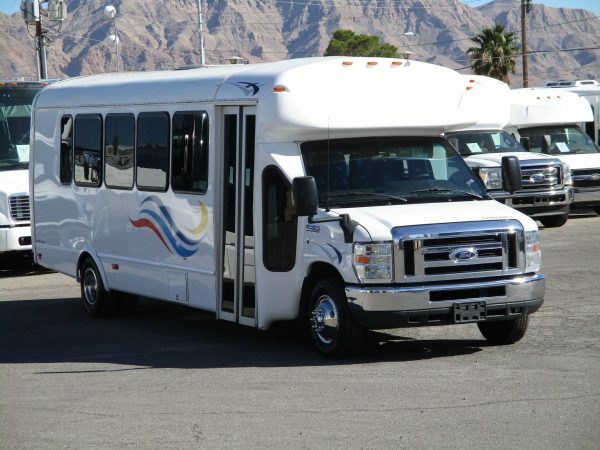 Las Vegas Bus Sales prides itself on going the extra mile for our shuttle bus customers, and that means that we can either arrange for you to pick up one of our shuttle buses from us or have it delivered to you. 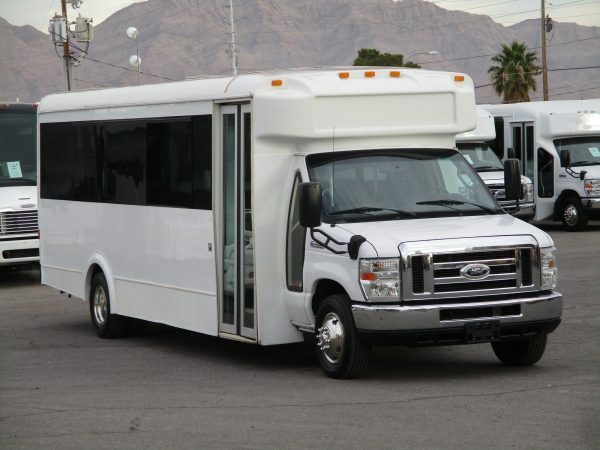 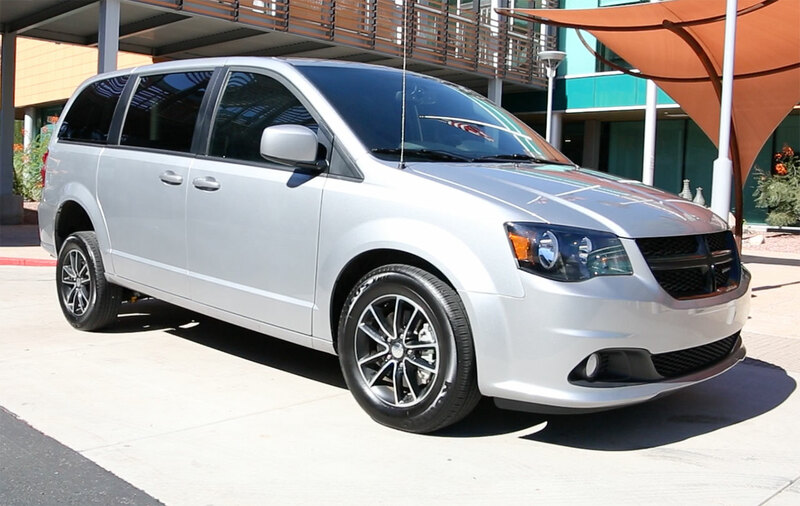 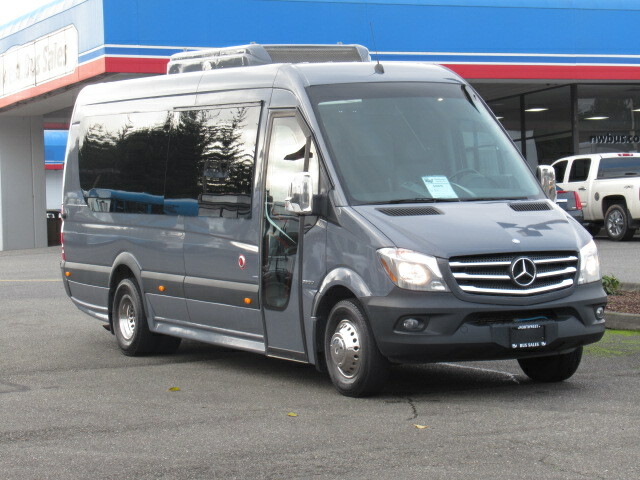 Our shuttle buses for sale can be sent anywhere in the U.S., in addition to Mexico and Canada. 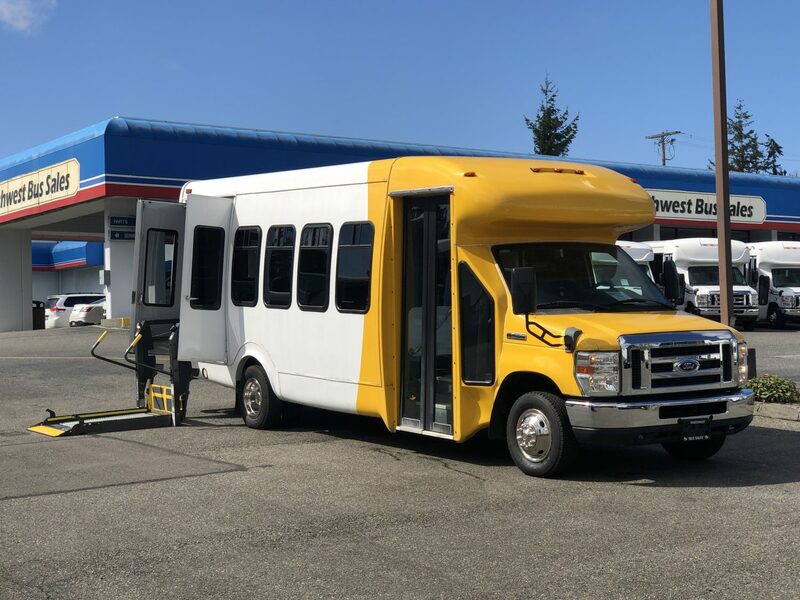 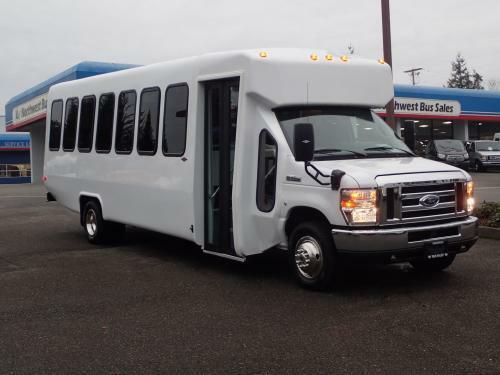 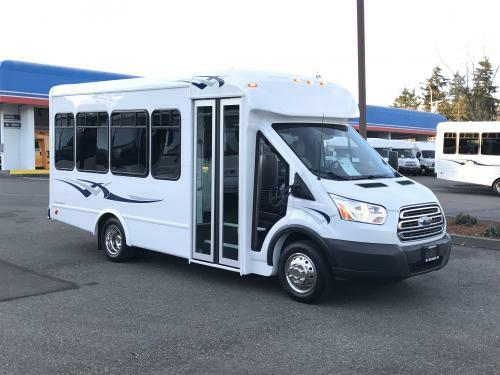 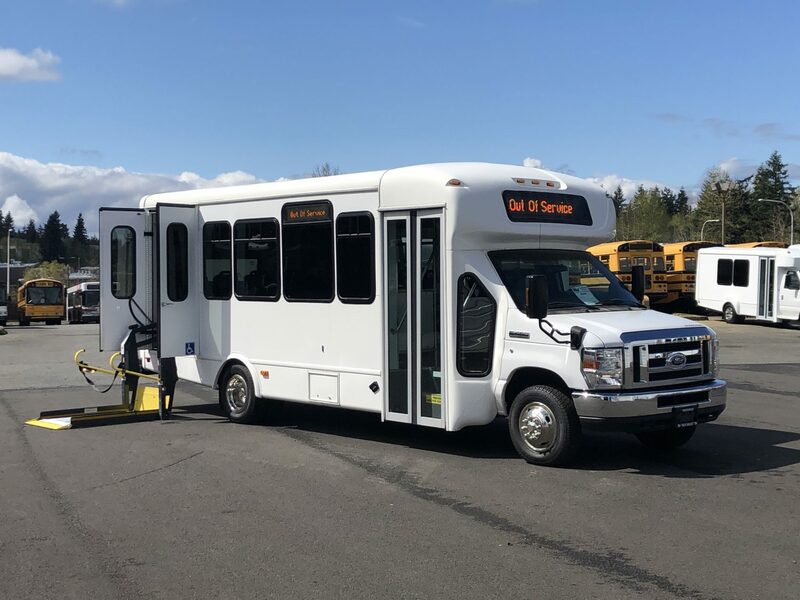 You’re sure to love just how easy a new bus can make getting around, and with our large selection of both new and used shuttle buses to choose from, you’ll love our options and our prices! 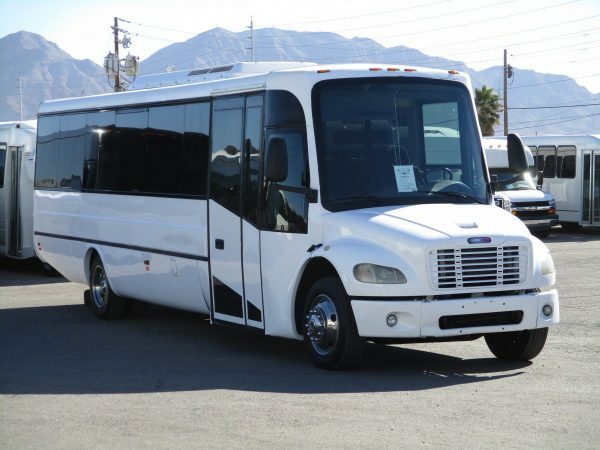 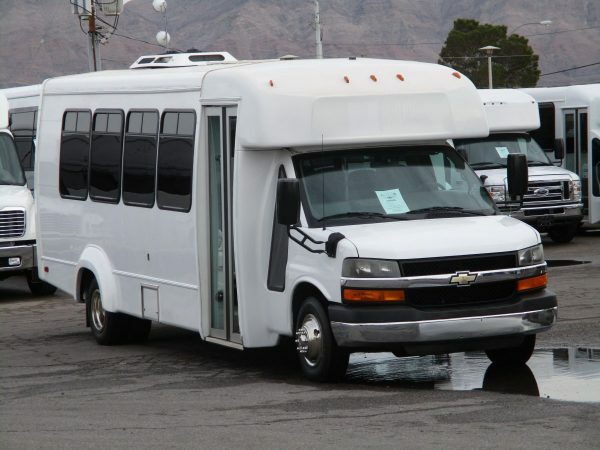 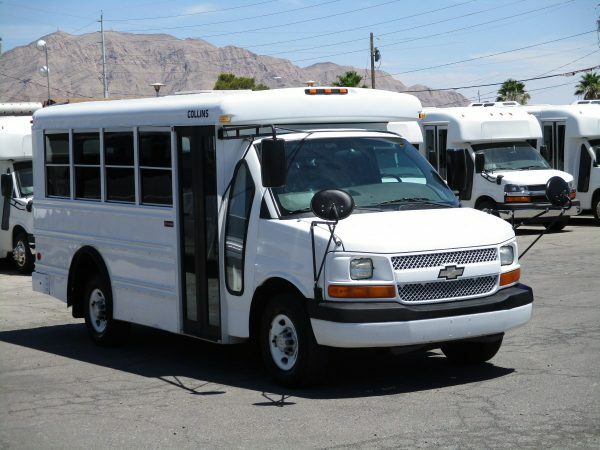 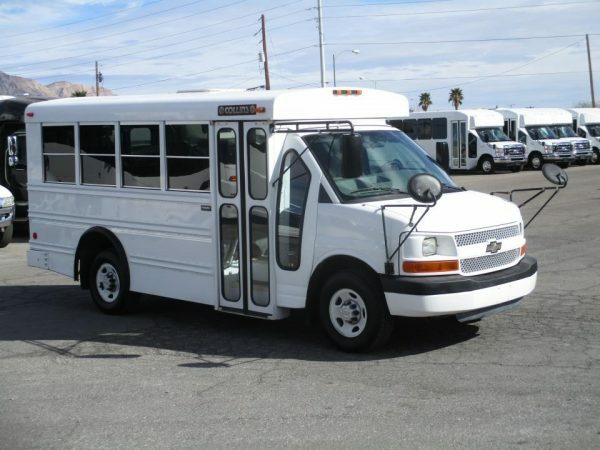 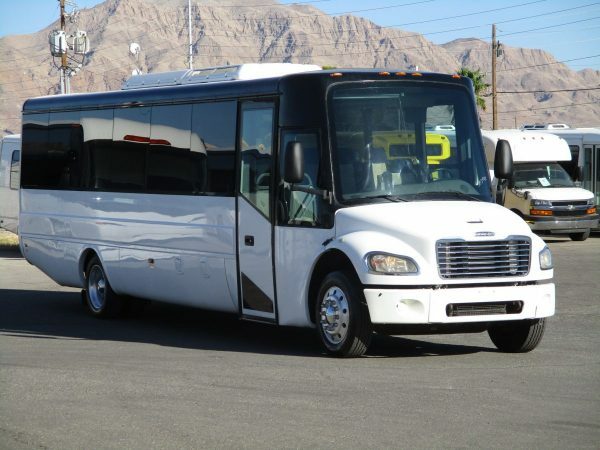 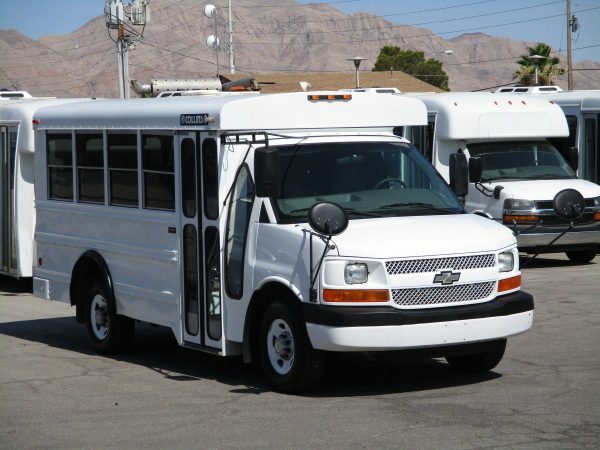 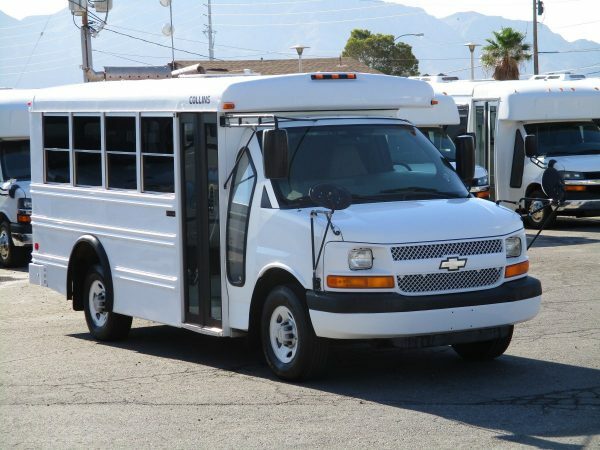 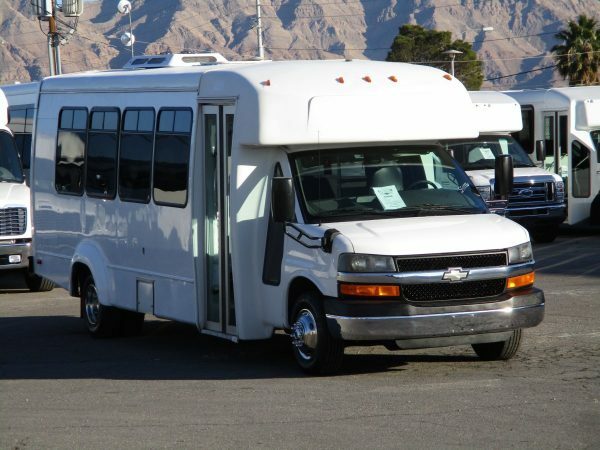 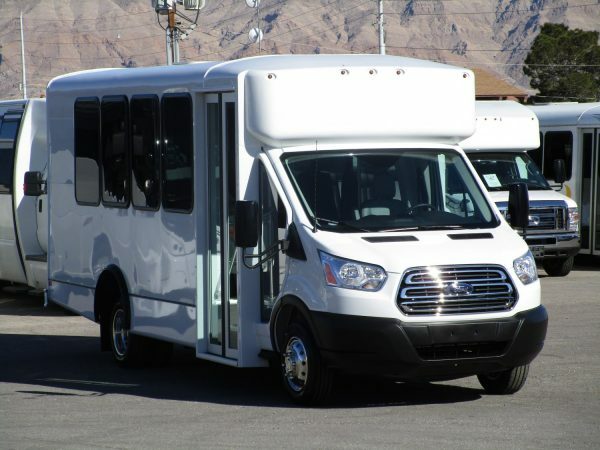 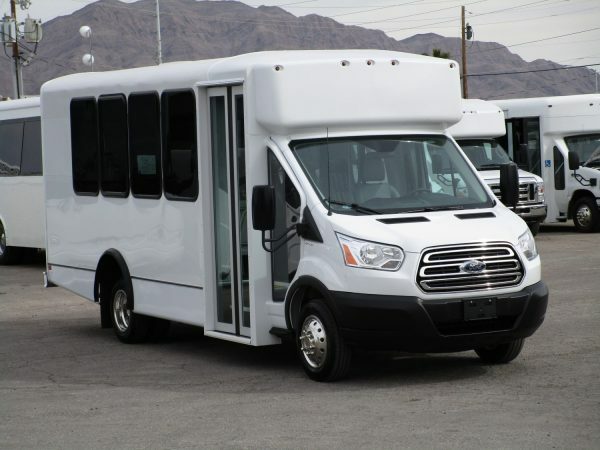 Shop the full inventory of passenger buses for sale through Las Vegas Bus Sales today online or call us at 877-456-9804 to begin your search.